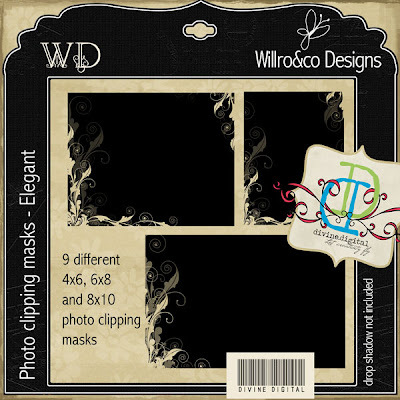 Please note that these resources are not designed for digital scrapbooking and are thus not priced as such. When purchasing clipping masks, they are provided in various standard photo sizes and orientation and are licenced for you to use in your photographic studio to provide to clients. 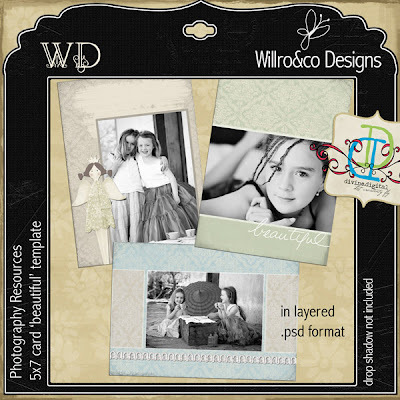 When purchasing templates, they are in layered .psd format - which allows you to customise the layout and colours to suit your photography style and the photos you are using. They are large files and you require a reasonable working knowledge of Photoshop to use the files.